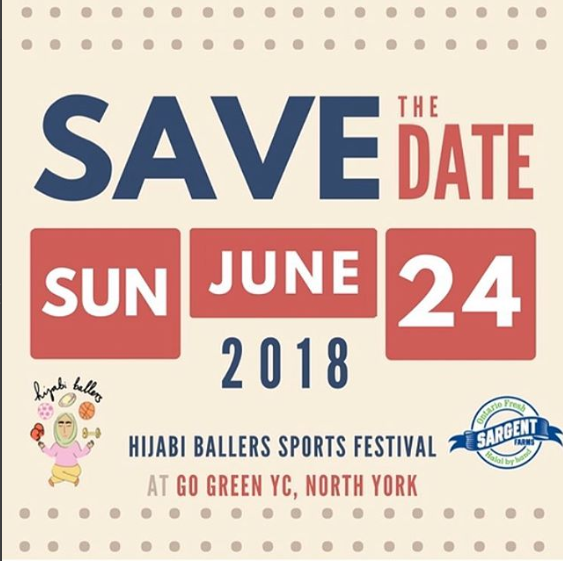 Thank You for attending the Hijabi Ballers Sports Festival last summer! This year, we are planning a bigger and better event with all the things you love! Registration for the Multi-sport tournament will be open soon! Make sure you save the date! The Festival celebrates the Hijabi Ballers project, its athletes and community members. Although open to everyone in the community, it is targeted towards Muslim women and girls. It will be an opportunity for females in the community to meet each other and make connections through sports, recreation and wellness while having the opportunity to be part of sport spaces in their communities. The event will feature a girls-only multi-sport tournament, drop-in fitness sessions and lots of fun activities. Through a variety of activities and games, the event is meant to allow youth, children and adults to explore and find what speaks to them in terms of leading healthier lives and being active members in their communities and the spaces it offers. It will also provide an opportunity for people and groups who do not self-identify as 'Muslim female athletes' to learn more about Muslims, about women and their involvement in athletics in their communities. People of all ages, genders and faiths welcome to attend the event. ​Tournament exclusive to girls & women 14+.